All change at the Commission for Victims and Witnesses? The Independent Commissioner for Victims and Witnesses is a post created under the Domestic Violence, Crime and Victims Act 2004. The post has been held, since July 2010 by Louise Casey. She came to the post with a formidable reputation for speaking up about the consequences of anti-social behaviour, and she has taken this outspoken approach into her new role. Over the last 15 months she has issued a number of reports and made a number of important speeches about how the criminal justice system fails the victims of crime, particularly serious violent crime. In just the last month (October 2011) she has published reports on research into the view of victims on their experience of court and sentencing, and on the needs of families suffering bereavement because of homicide. She has now announced her resignation to take up a new role to consider the riots which took place in London and other major cities in the summer of 2011. The Justice Secretary has published a letter thanking her for her work, but also – possibly ominously – indicating that her resignation gives an opportunity to rethink the Commissioner’s role. With the publication of the latest report of the Administrative Justice and Tribunals Council on the future of administrative justice, about which I wrote last week, I have been back to talk to Richard Thomas, Chair of the Council about the report and how he sees the future of administrative justice developing. (For my first interview, go to May 2010). Richard regrets the Government decision to abolish the Council, arguing that the arrangements proposed by Government to keep administrative justice under review are just not adequate. Although the future of the Administrative Justice and Tribunals Council has for some months appeared to be doomed, the wisdom of this decision – given the trivial amount of public expenditure that will be saved – is still being called into question. The latest body to get involved is the House of Commons Public Administration Select Committee (PASC) which has decided to undertake an inquiry into the Government’s plans for future oversight of the administrative justice system. It will not be a long inquiry – just one day of oral evidence from both the Ministry of Justice and from the Council – plus consideration of any written evidence that may be submitted. Anyone interested in contributing to this last ditch endeavour needs to be quick; evidence must be with the Committee by 11 November 2011. In (probably) its dying days, the Administrative Justice and Tribunals Council – earmarked by the Coalition Government for abolition – has decided to go down, all guns blazing. In its latest report, Securing Fairness and Redress: Administrative Justice at Risk?, published on 21 Oct 2011, it gives a stark warning that principles of fairness and the right to challenge decisions perceived not to be fair or lawful – which have been a hallmark of public administration for decades – are currently under serious threat. 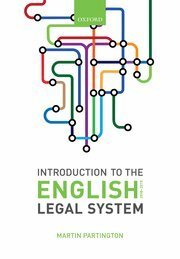 In the words of the report: ‘ In an age where so much emphasis is rightly placed on empowering people, on improving public services and on upholding the Rule of Law, it is astonishing that there is so little focus on the system for ensuring that the State gets it right in its dealings with individuals and families.’ Complaining that administrative justice is the ‘Cinderella service’ of the justice system, the Council warns that the current programme of austerity will reduce the quality of much administrative decision-taking, while at the same time make it much harder for those adversely affected by bad decisions to challenge them. This latest report – which presents an overview of the current position – notes that three times as many cases are decided by tribunals each year as go before the criminal courts; yet all the focus of policy making is on the criminal justice system. This despite the fact that the administrative justice system deals with key questions affecting the individual – liberty, employment, housing and even, in asylum cases, with matters of life and death. The Council acknowledges that there is no reason why new ways of deciding cases should not be tried – cutting public expenditure can be an opportunity for developing new and possibly better procedures. But it argues that at just the time when the Council’s expertise would be most useful, its voice is going to be silenced under the quango cutting programme. new and proportionate models for resolving disputes faster and in more user-friendly ways. In this podcast, I talk to Jeremy Tagg, a senior official in the Ministry of Justice. For many years he has been leading a team which has sought to promote Lord Woolf’s vision for the civil justice system, that courts should be the forum of last resort, and that where possible those in dispute should be encouraged to find their own solutions to their problems. Jeremy has helped to advance the idea that the courts themselves might be able to assist parties to reach mediated decisions, rather than court-imposed decisions. In particular, he dicusses the development of the new On-line Mediation directory (see blog 1 October 2011). He also discusses the success of small claims mediation which, to many people’s surprise, now disposes of thousands of cases a year. For lawyers, ABS doea not stand for advanced braking system, but for alternative business structure. The possibility of lawyers forming legal businesses with non lawyer investors has been on the horizon ever since the Legal Services Act 2007 was passed. Indeed the idea goes back to the Clementi Review of the legal profession – a review designed to encourage new forms of legal practice. The press stories I read about this today have been a bit misleading – it is true that approval has been given to one of the regulatory bodies to license new forms of legal service provider. But first out of the blocks is not the Law Society, as you might have thought from the publicity, but the more focussed group – the Council of Licensed Conveyancers. The Law Society is awaiting final Parliamentary approval, which it hopes to secure in December 2011. From today (6 Oct 2011), non-lawyer ownership of conveyancing firms will be allowed as a key part of opening up the market and increasing choice for consumers of legal services. These firms can access external capital and allow lawyers and non-lawyers jointly to own and run the business together. The Legal Services Board announcement makes clear that they hope that the Solicitors Regulatory Authority will be in a position to issue such licenses by the end of 2011; this will have a much greater potential impact on legal service delivery taken as a whole. What will be interesting is to monitor how these new opportunities are taken up by lawyers. For those working in the real estate world, and given the difficulties of the current property market, there may be considerable interest in seeing whether conveyancing services can be offered more cheaply and efficiently. Much discussion in the media – especially the print media – about the Human Rights Act and its impact on the UK is conducted in an extremely shrill tone, and is sometimes not as well informed as it should be. It is therefore worth looking out for more sober appraisals of the working of the legislation. The Ministry of Justice publishes a (more or less) annual survey – both of cases where the UK government has been taken before the European Court on Human rights, and where the UK Courts have made declarations of incompatibility. The latest of these reports was published in September 2011. This shows that the number of cases where the UK is a party before the ECtHR is very small (though the issues are important – e.g. the case on the voting rights of prisoners), and that there have been very few declarations of incompatibility – only 27 in 10 years, about half of which were not supported by the Supreme Court (formerly House of Lords).